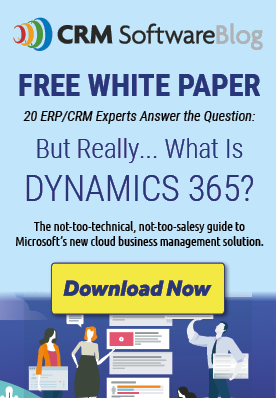 K2, a Microsoft Dynamics CRM partner, took a unique approach with its latest marketing campaign. Their video, “Dispute Impossible,” neglects to mention product features, benefits, or testimonials. Instead, the video is all attitude, and sends the type of branding message you might expect from a massive B2C campaign. Take a look. The video itself has an interesting story behind it. Josh Swihart, senior VP of marketing, explained that they “wanted the video to inspire and strike a chord that you can't hit with a product description or value proposition.” Instead, the video was meant to create an honest connection with K2's target audience, business professionals who wanted to take charge of their business. The team had been working hard on the video through the holidays, and during the final meeting they still felt like something was missing. Days before launch, a senior K2 designer played a song by Macklemore and Ryan Lewis called “Ten Thousand Hours” in the hopes of fueling inspiration. The song's name and message draws inspiration from Malcolm Gladwell's book, Outliers, which explains how it takes 10,000 hours of practice to become world class at most skills. The artists behind the song have reached the top of Billboard charts. K2 set out to get the rights to play the song in their video. It was an ambitious move. Conversations with brokers led to prices that were outside of their range. Not content with that, they were persistent in their efforts to reach the artists directly. Finally, an email made it's way to Macklemore and Ryan Lewis just before an appearance on the Ellen show. The day before the launch of the campaign, K2 signed a deal with the artists for a surprisingly reasonable price tag. K2 felt it was important to send the right message with their video. Swihart explained that they “work with customers who are challenging the norm...break[ing] the rules and do[ing] whatever it takes to achieve the impossible.” The video was produced in-house, and exclusively uses images and videos of real clients and K2 employees. The video is accompanied with a white paper from Forrester Research that offers advice on how to embrace and plan for technological change.